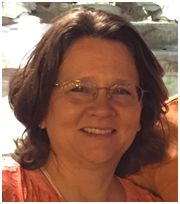 Monterey, CA – The Western Region Society of Nuclear Medicine (WRSNM) will honor Linda Kroger, MS, Assistant Clinical Professor of Radiology at the University of California Davis School of Medicine and Radiation Safety Officer for UC Davis Health with the presentation of their Distinguished Service Award. The Award will be presented at the 2018 WRSNM Annual Meeting, October 26-28, 2018 at the Hyatt Regency Hotel in Monterey, California. The WRSNM Distinguished Service Award is given annually at the WRSNM Meeting to a physician, physicist or scientist, or a Nuclear Medicine technologist based on the individual’s exceptional service to a Western Regional Chapter, to Nuclear Medicine in general, or to the Society of Nuclear Medicine and Molecular Imaging (SNMMI). Ms. Kroger received her undergraduate degree in Biology and her Master’s Degree in Biochemistry and Microbiology from Rutgers University in Piscataway, New Jersey and has been with UC Davis for 30 years. Prior to her arrival at UC Davis, Ms. Kroger worked for private industry in biopharmacology research and drug development. She transitioned to cancer research when she joined UC Davis in 1988 as Scientific Program Manager, in the laboratory of Drs. Gerald and Sally DeNardo. From 1988 through 2000, her research focused on the development of new radiopharmaceuticals for both diagnostic imaging and treatment of non-Hodgkin’s lymphoma and breast cancer and resulted in over 40 scientific publications. Since assuming her role as Radiation Safety Officer in 2003, she has focused on regulatory compliance, quality assurance issues as well as education of faculty, staff, residents, and students with the overall goal of improving workplace radiation safety. Ms. Kroger received her current academic appointment in 2006 as Health Science Assistant Clinical Professor of Radiology in the UC Davis School of Medicine and oversees the nonclinical aspects of nuclear medicine training for the radiology residency program at UC Davis. In addition, she has taken an interest in radiologic emergency preparedness. Ms. Kroger has authored or co-author more than 50 peer-reviewed journal articles and has presented at numerous scientific conferences including the Western Regional and Northern California Chapter Meetings. She is active in the Health Physics Society including serving as president of the Medical Section as well as being an active participant on National Council on Radiation Protection and Measurements (NCRP) committees since 2005 and a member of Council since 2016. Linda has been married for 29 years to her husband Pete and together they have two boys who are both in college. In their spare time they enjoy camping and traveling.